So for example, if your dancer is interested in taking ballet and tumbling, the cost would be $90/mo. 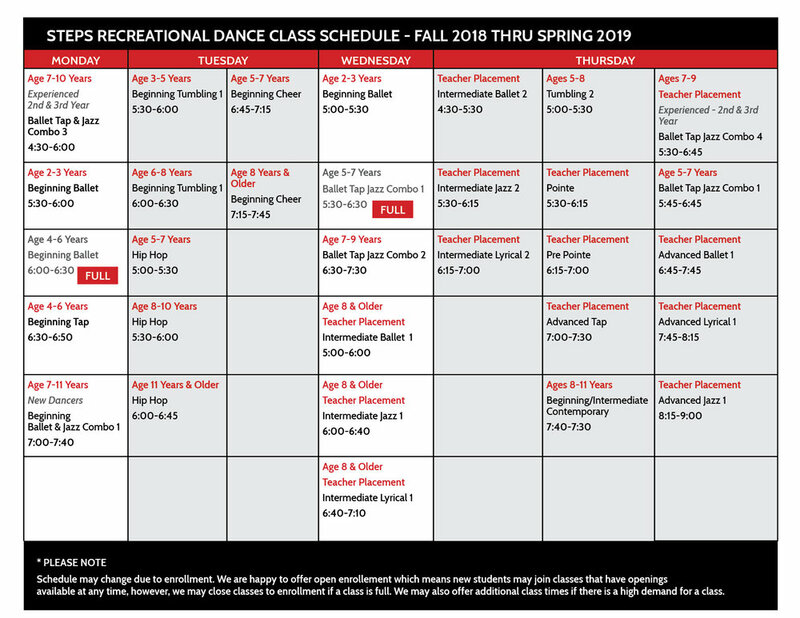 If your dancer was interested in taking ballet, tumbling and hip hop, the cost would be $120/month. *registration fees, recital fees, costume fees and any additional special event fees are NOT included in this monthly cost. *ALL CLASSES ARE SUBJECT TO CHANGE DUE TO ENROLLMENT. WE ALSO MAY OPEN MORE CLASSES AS INTEREST ARISES! !